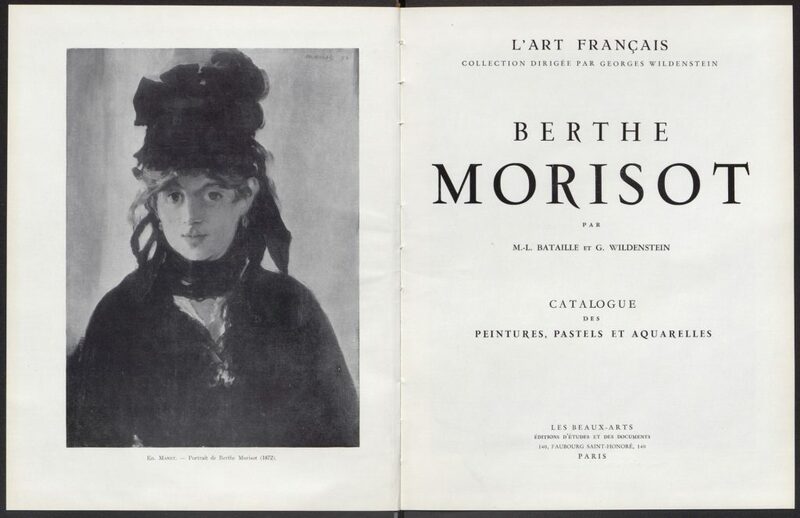 The first volume of the catalogue Berthe Morisot (1841–1895) found her inspiration in family life and in children’s worlds. 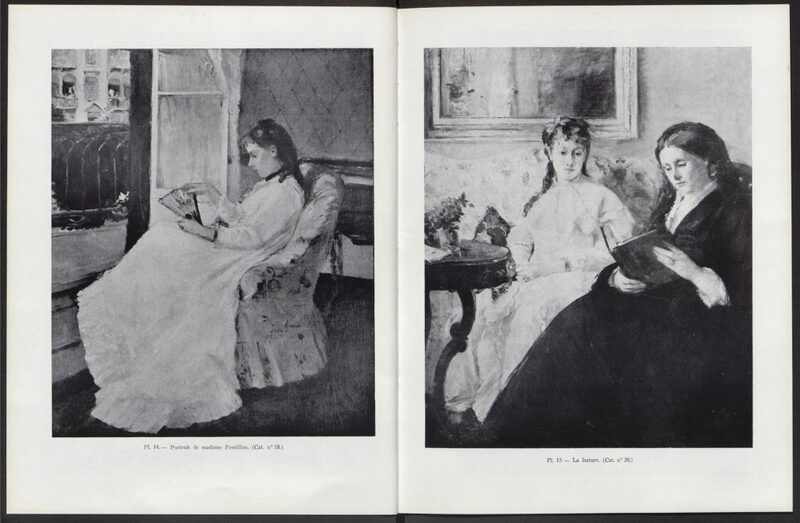 She was remarkably attentive to the ways in which light flickered on the decors, the people, and the objects that surrounded her. 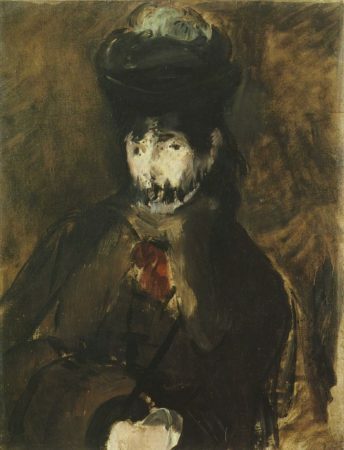 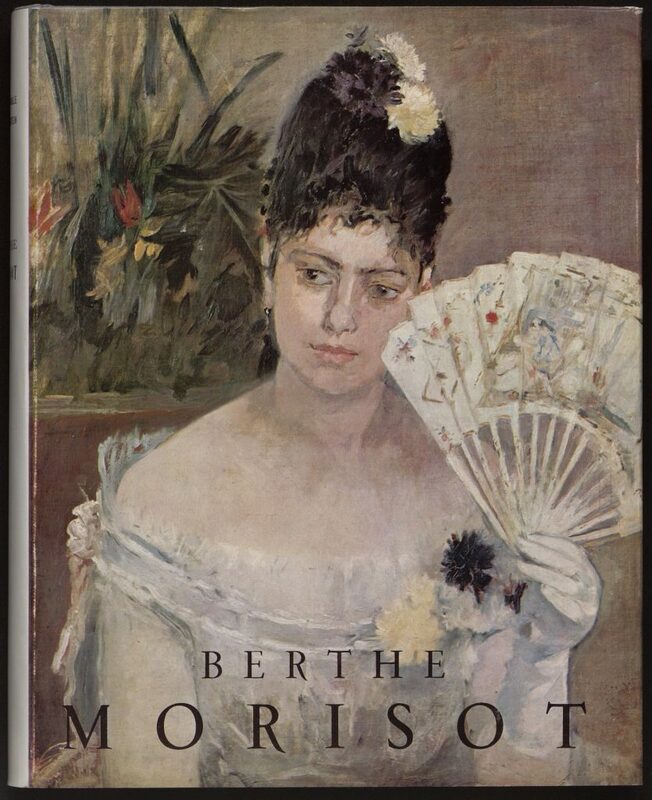 It is through a lyrical interpretation of the play between light and subjects that Morisot accomplished her best work. 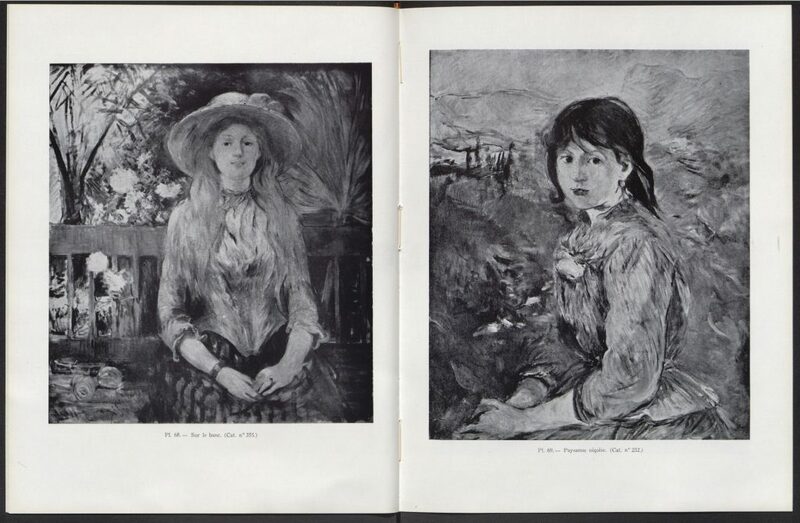 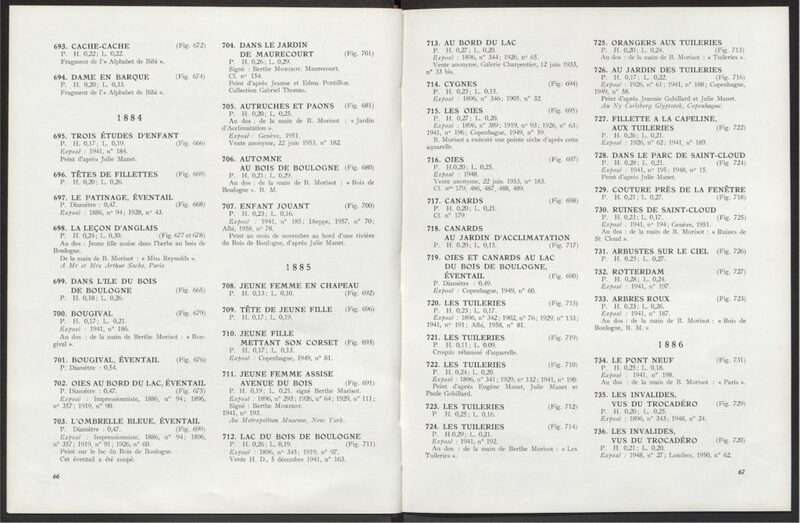 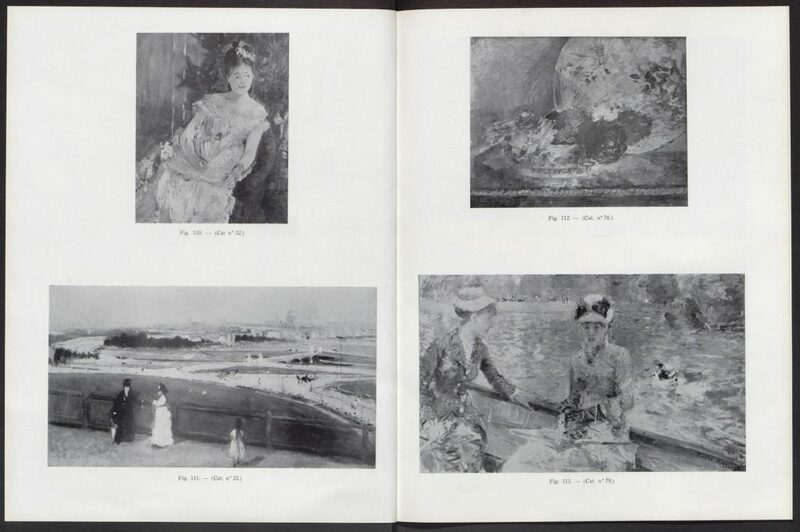 Started by Ambroise Vollard during the First World War and completed by Georges Wildenstein and Marie-Louise Bataille in 1961, this catalogue documents Morisot’s œuvre in 416 paintings, 191 pastels, and 238 watercolors.